in 2010 and targets to link Historically Black Universities Colleges with emerging government opportunities as well as corporate ones. The company is focused on job creation for both HBCU alumnus and continuing students at HBCU. 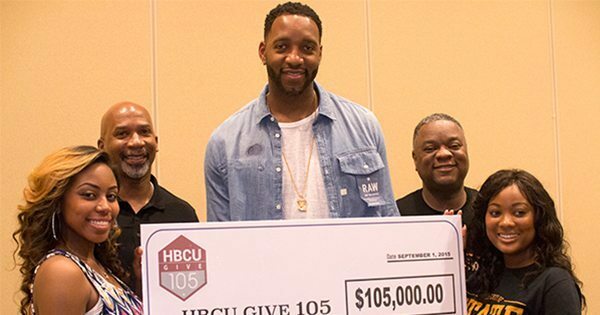 Tracy McGrady, a former NBA player launched the HBCU Give 105 undraising initiative that is geared to make people have a clear understanding of what exactly are HBCUs ,thereby increasing enrollment.The initiative aims to raise $105 million that will help to achieve the purpose for which the initiative was founded. Tracy McGrady is a former player of the San Antonio Spurs, Quindao Eagles and an NBA superstar. Tracy McGrady is a seven time NBA All-star, two time NBA scoring champion as a well as a seven time All NBA selection. Tracy McGrady is not only a professional basketball player but also a managing partner with Rodney Woods in diversity in Promotions and Playbook Investors Network and Multicultural Communications Network. The aspire hoops-n-hip hop is a platform that seeks to display the variety of talent on HBCU campuses. Such talents include: fashion, comedy, basketball, music and poetry. This kind of system helps to note the various student talents that are looking for employment in S.T.E/M as well as other areas. This platform is linked to a social media family that gives our students a chance to interact with people of the same mindset. The AHHH program will soon be available in Germany, Brazil, and Africa. China and Japan. Some artists like 2 chains and Street Execs are also in partnership with this program. This is a television network that was launched In June 27, 2012 by magic john enterprises. ASPiRE highlights the achievements of African Americans by providing a lineup of movies and series as well as special features on comedy, drama, faith, performing arts/theater and new/information. ASPiRE is now on 22 out of 25 of the best African American markets. They include: Chicago, Washington DC, Los Angeles, New York and Atlanta. This is a platform that allows for contributions to the GIveInitiative. They have come up with a mobile app that allows donors to make their contributions via their smartphones or tablets. Aside from providing a way in which donors can contribute through their mobile phones, this platform also provides donor engagement features. By combining the QR technology and www.give.mobi, convenience for consumers is achieved.